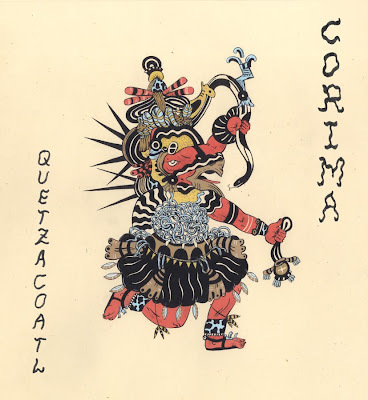 This is a gouache painting of the Aztec god, Quetzacoatl for a friend's band back in Los Angeles. They are called Corima and they are a fine group of people. They have a new album coming up and I recommend putting your ears to it! Unless you are deaf of course.